In its recent report the Institute for Science and International Security (ISIS) discourages Israel of planning and conducting an air strike on Iran’s nuclear facilities in Natanz and Esfahan similar to that of Iraq’s Osirak reactor in June 1981 and the Al Kibar site in Syria last September. The two main reasons are Iran’s largely dispersed, advanced gas centrifuge facilities and profound lack of knowledge of what Iran can presently master in its uranium enrichment program. The report clearly states that any strike, unlikely to entirely destroy any facilities, would only prompt Iran to hasten its efforts to acquire nuclear weapons. In that case, Iran would certainly withdraw from the Nuclear Non-proliferation Treaty (NPT) and expel the IAEA inspectors. 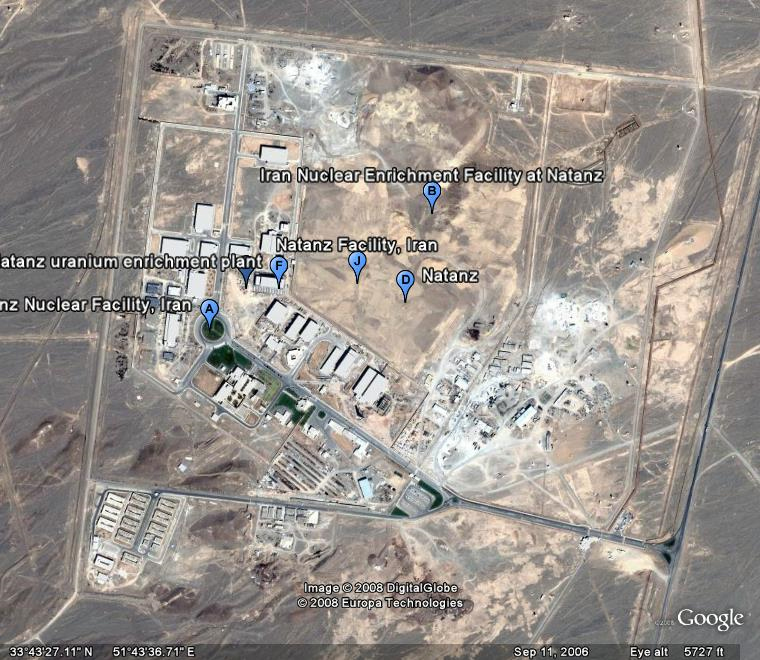 The report also speculates that Iran may clandestinely have removed key centrifuge components, equipment and materials from Natanz and the uranium conversion facilities in Esfahan already to other hidden places for example in the nearby mountains. The report states that even the IAEA does not have sufficient information with regard to where the gas centrifuge components for P1, IR-1 and IR-2 are manufactured. The crux with Iran here is that it has halted its voluntary adherence to the Additional Protocol of the NPT in early 2006 limiting the access to its nuclear facilities. So, the IAEA would again only be informed about a new nuclear facility about six months before nuclear material is produced. Hence, the suspiciousness of Israel, the US and other Western powers may in fact be justified. Included in the ISIS report are satellite images of possible target sites of facilities involved in the manufacture of centrifuges in Tehran, Esfahan and near Mashhad. According to the report, some of them are very small companies or workshops with not more than 10 employees, or even father and son enterprises. The report concludes that “Iran is understandably concerned that more transparency on its part could lead to the US and Israeli militaries getting better targeting (!) information.” It is self-evident that Iran has to adhere again as soon as possible to the Additional Protocol of the NPT in order to make claims credible that its nuclear program is for peaceful purposes only. On the other site, discussions about possible military attacks (“all options”) must come to an end. This entry was posted in Iran and tagged Diplomacy, IAEA, Iran, ISIS, Nuclear Non-proliferation Treaty. Bookmark the permalink.